On the proposal of the Ministry of Civil Affairs, the Council of Ministers of BiH has adopted the Mine Action Strategy paper for the period 2019 to 2025, along with the Financial Plan for its implementation. 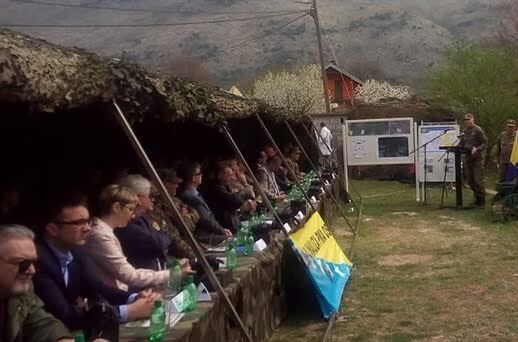 Its adoption will enable the development of an efficient and effective national mine action program, in order to reduce and completely eliminate mine threats to the population in BiH. The strategy contains five strategic goals aimed to establish a comprehensive and effective mine action system in Bosnia and Herzegovina. Aproved document relies on three key principles: responsibility, continuous improvement and transparency. Document contains two of the five assumptions for its implementation which are based on continous funding from international sources which has to be maintained at the same level or increased and with the increase in funding from domestic sources. The financial plan states that it takes around 336 million KM for the implementation of the Mine Action Strategy of BiH until 2025.